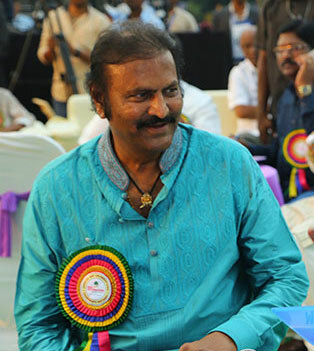 Actor-director-producer Mohan Babu turned 67 on March 19, and a big birthday celebration was organised for him at the Sree Vidyanikethan school in Tirupati, Andhra Pradesh. 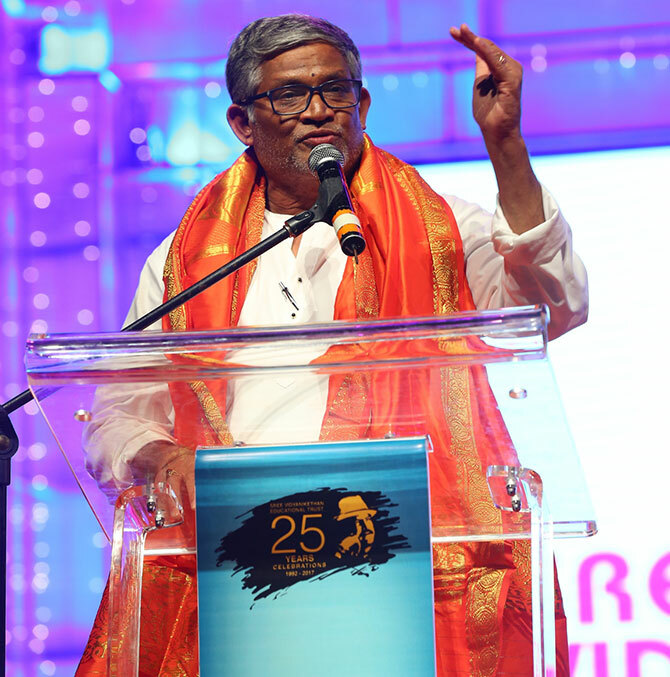 The school was established by him in 1993, and he remains its chairman. 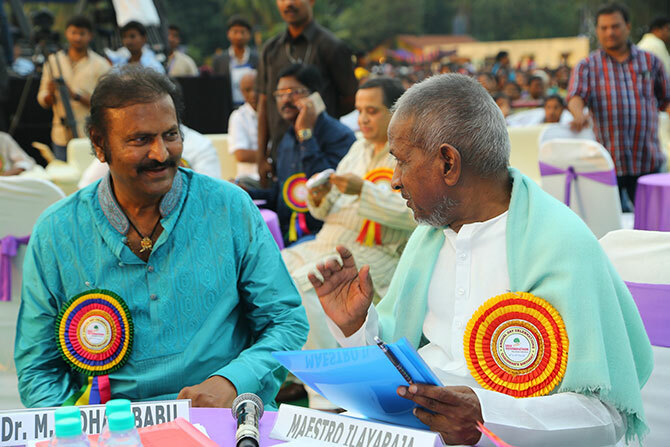 Mohan Babu, who has acted in more than 500 films in his career, chats with Ilaiyaraaja, one of the greatest composers in India, before the show. 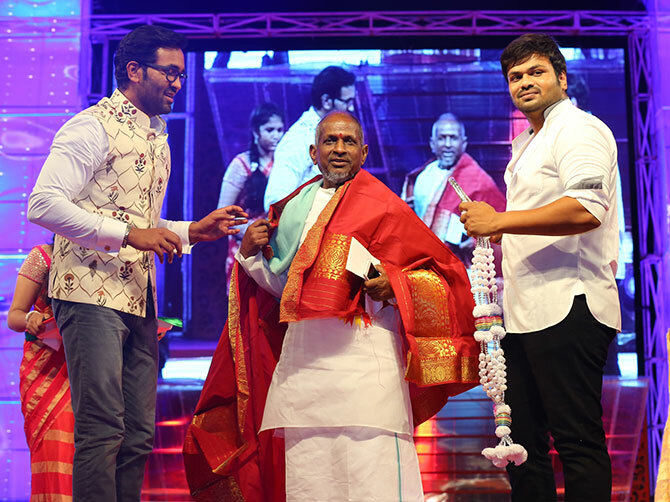 Ilaiyaraaja was felicitated by Mohan Babu's sons Vishnu and Manoj at the event. 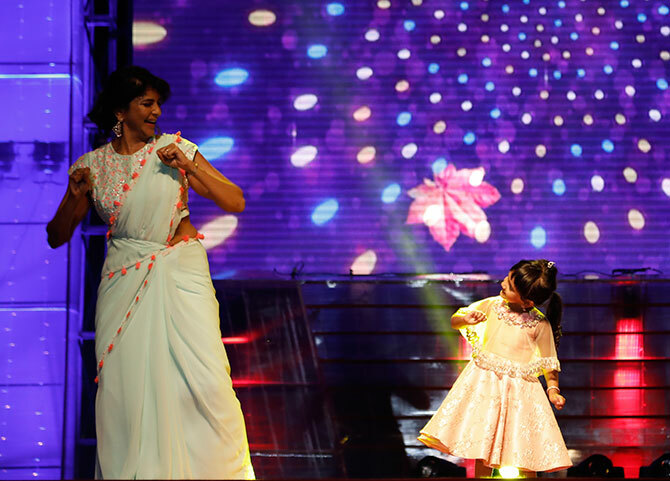 Mohan Babu's daughter Lakshmi Manchu with her daughter Nirvanha. Vishnu's daughters Ariana and Viviana perform. 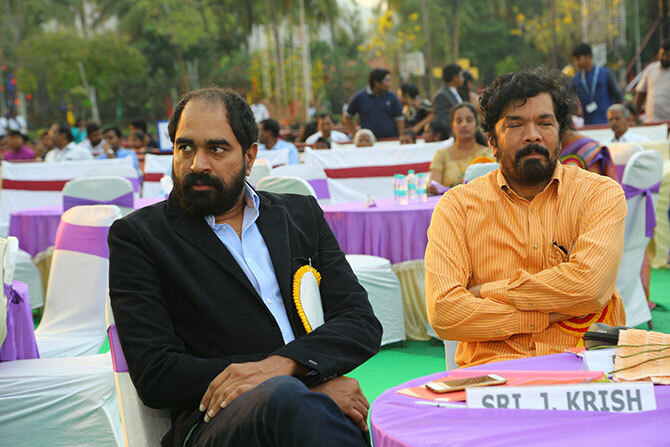 Director Radha Krishna Jagarlamudi, better known as Krish, along with actor-filmmaker-screenwriter Posani Krishna Murali. 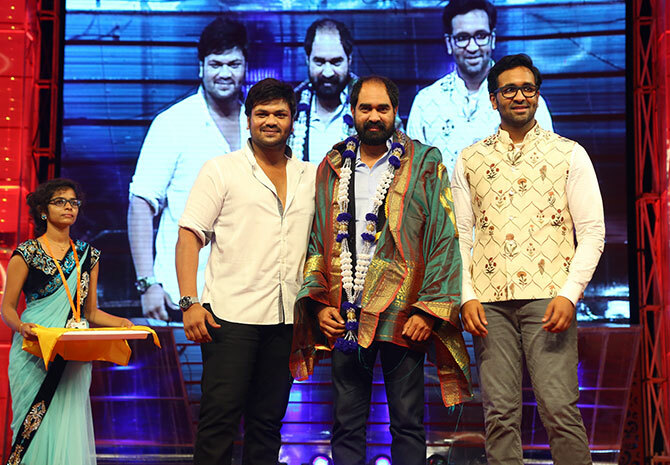 Krish was also felicitated by the Manchu brothers. 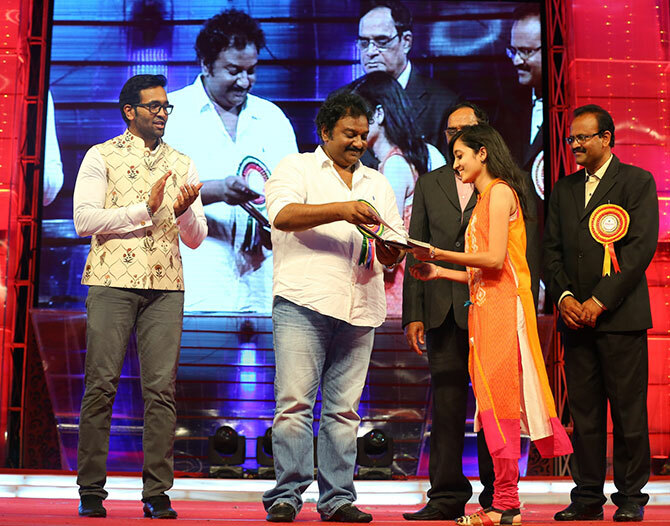 Director VV Vinayak gives away the prizes. 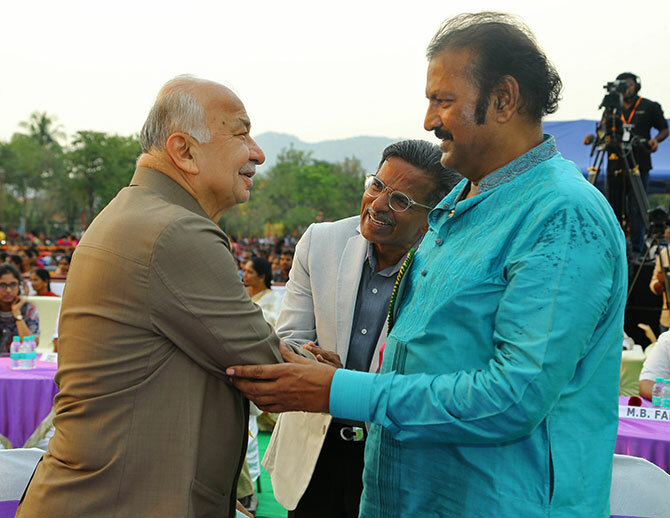 Former Union Home Minister Sushil Kumar Shinde greets Mohan Babu.